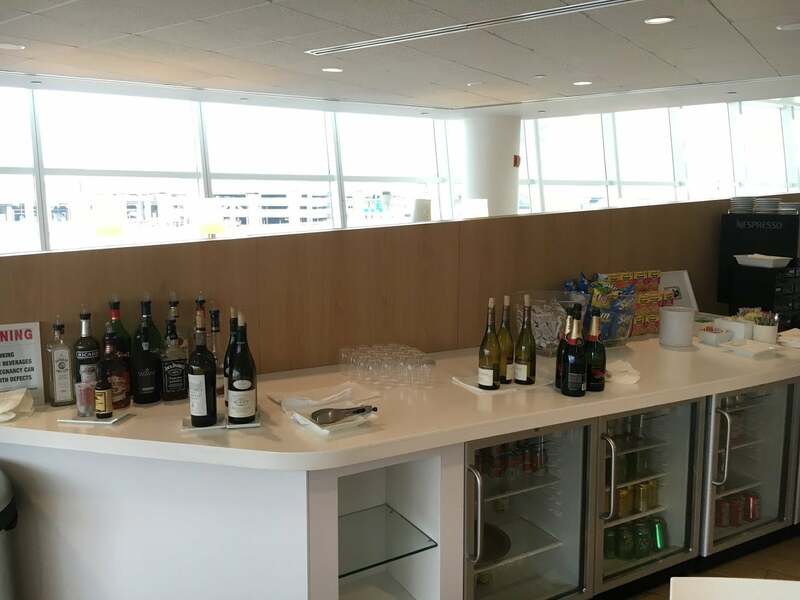 Falling in line with American Airlines and Delta, United Airlines is adding capacity controls to their lounges. You’ll need to fly United Airlines, or one of its partners, the same day to gain entry. The good news is the changes don’t kick in until November 1, 2019. So you have nearly a year to make the most of the current access policies. The tightening of airline lounge access rules will likely encourage more folks to apply for cards with Priority Pass membership, like The Platinum Card® from American Express, because these lounges don’t require you to fly on a specific airline. Here’s more about what you need to know. Monkey see, monkey do! When one legacy carrier makes a change, like raising checked baggage fees or introducing basic economy fares, the others usually follow. Effective November 1, 2019, United Club customers, including members and their guests, and one-time pass holders, will need to provide a same-day boarding pass for travel on United, Star Alliance, or a contracted partner for entry into all United Club locations. The change affects all methods of entry, including folks who have a paid membership or get in with a credit card like the United MileagePlus® Club Card. Until the changes take hold, you can fly any airline and get in. That’s handy if you’re near a small airport, like Austin, and flying another airline. Because the gates are pretty close to one another. But folks using United Clubs in sprawling United Airlines hubs, like Chicago or Newark, are typically flying with United Airlines anyway. And getting across terminals just to get into a lounge can be time-consuming if you aren’t. Priority Pass to the Rescue! The airlines want you to be loyal to them, but lots of folks (including me) shop for flights based on price. That doesn’t mean you can’t relax in an airport lounge! I’ve Found Priority Pass Lounges Easily Match What the Airline Lounges Offer – and You Can Fly Any Carrier! All these changes make Priority Pass membership more appealing. Here are the best credit cards with lounge access – many of them include Priority Pass lounges! That said, if you find yourself flying one airline often, you might consider getting a card with a membership to their lounges. Because it’s likely to be a little less crowded late next year. Will these changes affect how you travel? Their lounges are always full. The food is terrible. I have been turned away before because of too many people being there. The Star Alliance Lounges are really nice. I’m not familiar to the club. How much is it and what are the benefits of it? I was wondering what the the food is like. The main reason I got the United Club CC was because of their liberal entry policy. As a result I will be ending my membership when it comes up for renewal. Although, I understand the move. It would be nice to see them expand their lounge capacity to accommodate the old policy. I just started using the Amex Platinum card and am happy with the domestic lounge network. Although, the Sky Club access means you have to be on a same day Delta ticket and you get no guests. I am beginning to detest this airline. All about the money. I’ve been a paid member for several years and the terms continue to change. Service at certain airports is abysmal. Overcrowding daily. The food (soups) are now watered down. Unbelievable the manner in which thus airline treats its business travelers. Really?? So you detest a company for making money? Reading your statement, you are complaining about overcrowding yet, in the same breath you are complaining about trying to keep capacity controlled. Make up your mind. What you said makes NO SENSE and if you fly UA good then you should come in and make yourself at home. If you are flying on AA or DL or SW then that is the reason for the overcrowding. So make up your mind.